Essentially, the name of the will be changed to Microsoft Mobile, however, Microsoft is likely to continue using the Nokia as the consumer-facing brand. We wanted to share some important information about your data privacy and contracts. 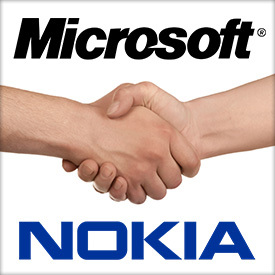 Nokia currently expects to complete the sale of its Devices & Services business to Microsoft in April 2014. With the completion of this transaction, a Microsoft Finnish affiliate* assumes responsibility for your personal data and the contractual relationships for the products and services related to this business. Microsoft cares deeply about your privacy and the protection of your personal data and will continue to collect and use your personal data in the same ways and for the same reasons as Nokia, and you should experience no difference as a result of the sale. Also, please note that Nokia will continue to run its businesses, including HERE location-based products and services, which are not part of the Microsoft acquisition. The responsibility for your personal data and your contractual relationship relating to these Nokia products and services remains with Nokia. Nokia continues to be committed to the highest standards to protect your privacy and your personal data. We wanted to give you notice of these changes. Our commitment to your privacy remains paramount. To learn more about Microsoft’s and Nokia’s privacy policies and service terms, click here. You may also contact us at: Microsoft Mobile Oy, c/o Privacy, Keilaranta 7, 02150 Espoo, Finland or Nokia Corporation, c/o Privacy, Keilalahdentie 4, 02150 Espoo, Finland. * With the completion of this sale, the Nokia Devices & Services business will be part of this Finnish entity, Microsoft Mobile Oy, a subsidiary of Microsoft Corp.